Meet The Shannons: Come & Get It! Our Top 15 Favorite Vegan Recipes for Picnic & BBQ Season! Let's get serious here, because we're about to talk about something I take very seriously... POTLUCKS! See, planning a really amazing group dining event combines art with mathematics, originating in imagination but ultimately rooted in procedure*. There are relationships between the invitees and seating to take into account, and let's not forget making sure you have enough silverware and cups and all those basic resources. And of course, there's the menu. We've collected a few of our favorite Summery BBQ, Picnic, and Potluck favorites in time for this long weekend and compiled them here to make your menu planning easier. OK - maybe more than a few. These vegan recipes are BBQ and Potluck Tested and Approved. 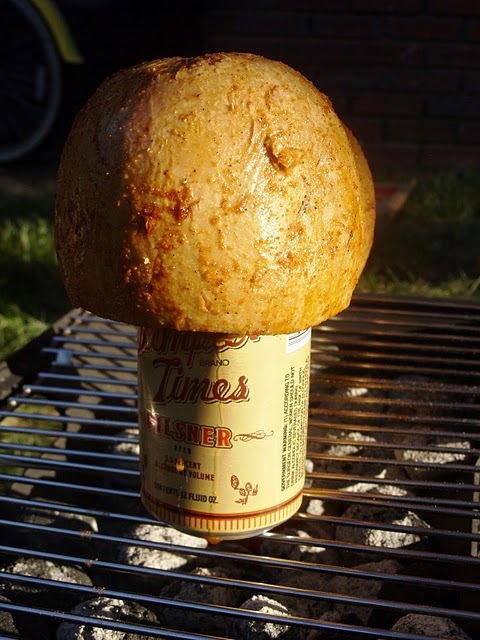 If you haven't tried it yet - Beer Can Tofurky should be the first thing you do this summer! And before we head out into a sunset or something to set up some of the awesome things we have planned this summer (yes, that's a teaser for contests! 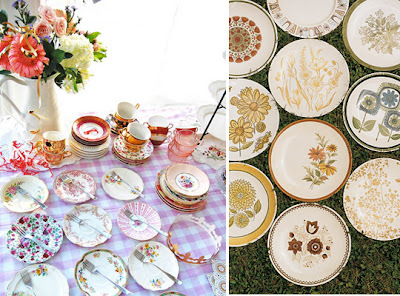 ), here are just a few Potluck tips we've picked up over the years. You need to have a spot for everyone you invite to sit. Even if it's just in the grass. People rarely like to stand and eat. Shade is also something good to provide as well. When you're getting your resources together for your event, it's always good to have a few extra plates, cups, forks and spoons than guests. You never know who will bring a friend or drop something. If you're uncomfortable with using disposable**, you can always get extra silverware, cups and plates at thrift stores for a few cents an item. Then you can keep them afterwards to reuse again and again or donate them back. Either way, your footprint on the planet just got a lot smaller for not that much more money - maybe even less. Also it can give your party a cool eclectic look! Don't start cleaning up unless you want people to head home. It's the universal clue that it's time to go. Tidying up - yes! But the second you turn the water on to wash a dish, expect the crowd to thin. When inviting - be sure to use a method you know you're friends use and it's not rude to follow up with folks who haven't RSVPed. Especially if you're having a potluck - it's always good to know how many rears need seats and faces need food! Not all vegan parties are a great place to win over hearts and minds! So bring something really cool and good! Have a good time. You might think I'm nuts for saying that but I count on Dan to remind me of that pretty much every party. Please leave a comment with one of your favorite tips! We'd love to hear what you've come up with. Have a great weekend and don't forget to send us any pictures of Meet The Shannon recipes you make for The Family Album! * Not sure if that makes any sense but you need all those things. ** Please don't buy disposable. You know, I really was planning to make your beer can Torfurky for next Thanksgiving. But really, why wait that long? If I can find a Tofurky this time of year, I may have to give that a go. Well, I also have to find someone who will let me use their grill. I love potlucks! I'm so excited for it to be potluck picnic season! Awesome guide by the way. I am absolutely in love with your blog, just so you know. This post makes me want to whip out the grill, cook until I run out of food, oh and make my own pitcher of mojitos!! Thanks! I'd like to try these recipes. Thanks!